Comprehensive media library: iPod users backup their iPod data to iTunes library in order to have a comprehensive iTunes media library. Privacy protection: Many iPod users would prefer to have their sensitive files in iTunes rather than in their iPod to prevent a data breach in case of iPad loss or theft. Easy File sharing: Once files are backed up in iTunes library with Home Sharing network, all other computers connected to the network will have the data synced to them automatically. Nevertheless, backing up iPod data to iTunes library does not start and end with connecting your iPod Touch, iPod Nano, or iPod Classic to your PC/Mac; it takes some technical skills to do that. We’ve shared the easy, fast and safe ways to back up iPod to iTunes library in the following paragraphs. Media files such as photo albums, videos, songs, playlists, TV shows, movies, podcasts, books, audiobooks. The list above is not exclusive, but the content you’re permitted to transfer to iTunes many vary by country or region. 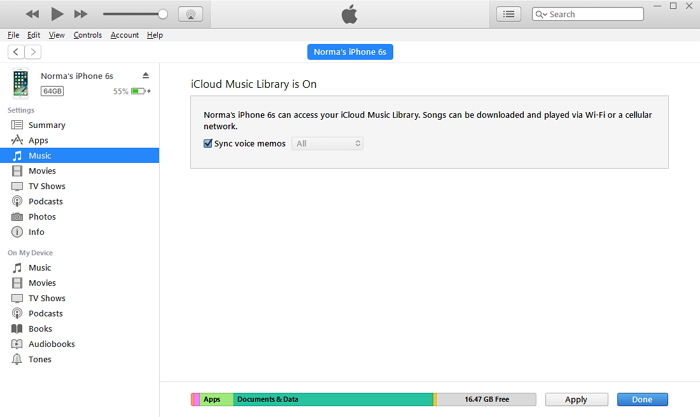 Nevertheless, the following guide teaches “how to transfer iPod files and data to iTunes library” using the tradition method. Step 1Launch iTunes on your Mac or PC, and connect your iPod to Mac or PC using a USB cable. Step 2Click the iPod device icon that has appeared in the upper-left corner of the iTunes window. Step 3Click the content types you would like to sync, then tick the box next to Sync to turn on syncing for the content type. Step 4Repeat Step 3 for every content type you would like to sync. Then click Apply button in the lower right corner of the iTunes window to save your sync settings. Syncing will start automatically and immediately when you complete these steps. However, if you follow this method, you may end up losing your iPod data because of iTunes error. 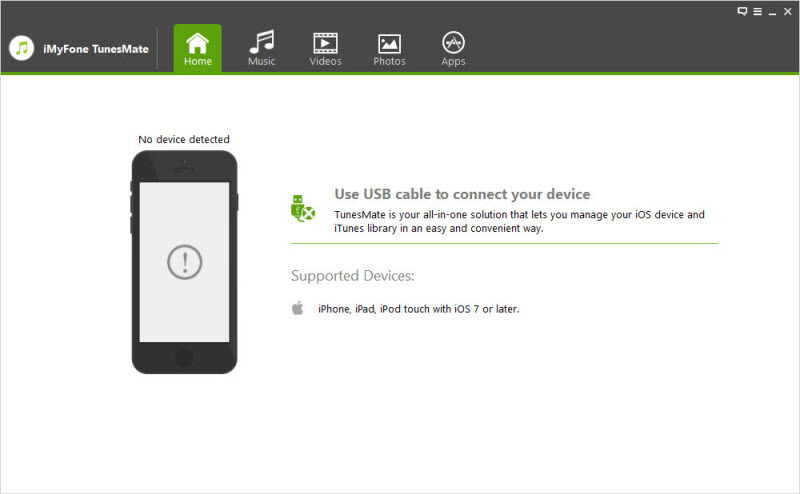 Backing up iPod to iTunes library using this method is subject to content restrictions and limitations. iTunes does not support the transfer of some advanced file formats. This method is subject to data loss and iTunes library damage. Backing up iPod to iTunes Library with iTunes would sometimes lead to syncing error. 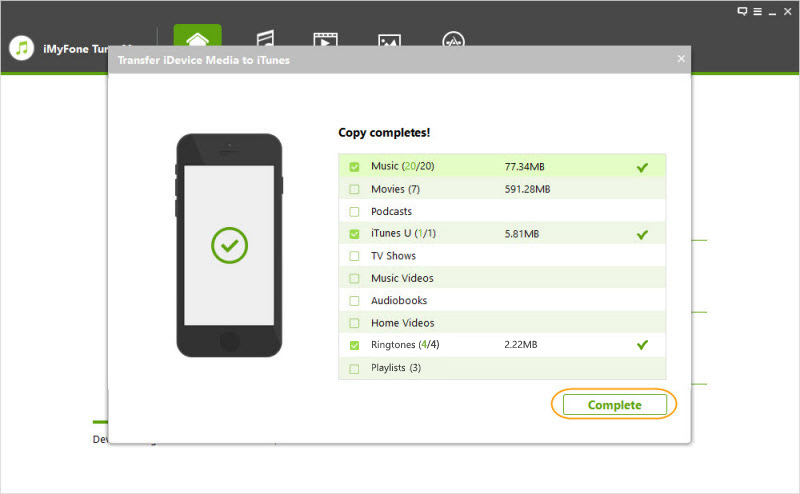 But if you want to keep your photos, videos, and other media files safely stored and up to date on your come, then you need to use a third-party program called iMyFone TunesMate. TunesMate is far much superior to iTunes in moving music from iPod to iTunes library. The program stands out when you compare them based on data safety, privacy protection, user friendliness, seamless file transfer, and error-free syncing. It helps you to overcome annoying iTunes limits, restrictions, and unknown bugs. It can also help you to rebuild damaged iTunes library, merge iTunes library, share without limits, and enrich music collection. 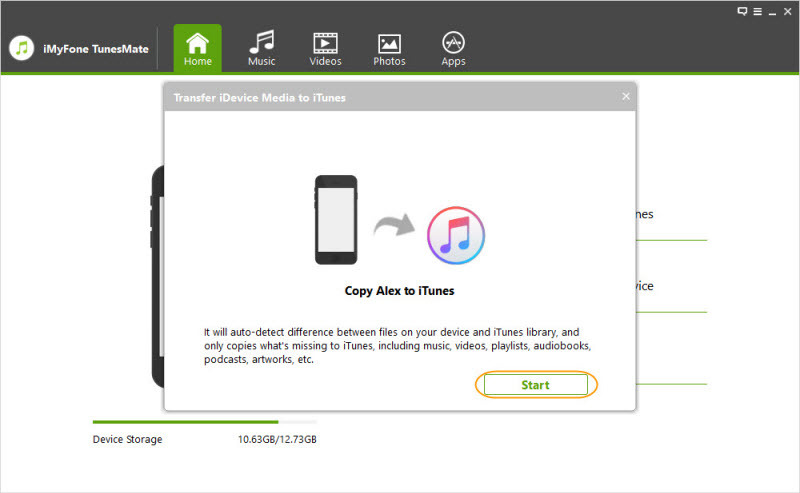 Two-way data transfer: iMyFone Tunesmate offers a two-way transfer of iPod data, this comprises of data transfer between iPod and iTunes/computer. Bypass iTunes limitations: You can easily bypass iTunes limitations, restrictions and unknown iTunes error using iMyFone TunesMate. Will not erase old data in your iPod while transferring: sync media files securely and efficiently to iPod with no chances of data loss. Step 1Launch iMyFone TunesMate on your Mac or PC, and connect your iPod to Mac or PC using a USB cable. Step 2Click “Transfer iDevice Media to iTunes” from the Home interface of TunesMate, and click “Start” button from the pop-up window to scan your iPod library. Step 3All files will be checked by default in a list. You can uncheck those files you don't want to transfer to iTunes, and click "Start" button to begin the transfer process. When transfer process finished, click "Complete" to conclude the whole process.